The EU is now concentrated on the de-escalating the Ukrainian crisis. The representatives of the European Union exert every effort in order to find the right solutions for the crisis as well as to ensure a prosperous and stable future for the citizens of Ukraine. The EU underlines that the right solution to the Ukrainian crisis should be found through negotiations between the Russian Federation and Ukraine. Besides, the EU representatives have also set a range of measures called “sanctions” against Russian Federation in case the destabilization of the situation in Ukraine continues to grow. These additional measures include the first travel bans as well as the asset freezes against Russian and Ukrainian officials following Russian Federation’s annexation of Crimea. The government of European Union strongly condemned unprovoked violation of Ukrainian territory integrity and sovereignty from the Russia’s side. The EU strongly believes there is a peaceful solution for the problem and it can be found only through negotiations. Besides, the European Union remains ready to reengage with Russian Federation, once this country starts actively contributing as well as finding the right solution for the situation in Ukraine. So, what are the sanctions taken by the European Union that can influence Russia? First of all, one should mention the cancellation of the EU – Russian Federation summit. What is more, the members of the EU decided not to hold regular bilateral summits. All the bilateral talks with Russia regarding visa issues were suspended. 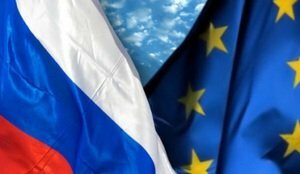 To add more, the EU – Russia cooperation programs reassessment is now ongoing with a view to suspend the EU regional and bilateral cooperation programs implementation. As for the projects that deal exclusively with civil society and cross border cooperation, they will be maintained. In total there are 119 individuals and 23 entities under European Union restrictions. This list includes facilities and people who are responsible for actions against the integrity of the territory of Ukraine. Besides, there are also objects located in Sevastopol and Crimea whose ownership has been transferred contrary to the state law of the country. There are some other individuals, who have been on the list for their connections with the decision makers from Russian Federation. Taking into consideration the fact that European Union refuses to recognize the Crimea annexation, the next to follow restrictions have been imposed. First of all, the EU has successfully adopted a prohibition on imports from Sevastopol and Crimea unless attached with the proper certificate given by the Ukrainian authorities. To add more, investment and trade restrictions are enforced to the following segments: energy and telecommunications, transport infrastructure projects and the sanctions related to the exploitation of minerals and oil gas. The required equipments and key tools for the six sectors mentioned above may not be exported to Sevastopol and Crimea; insurance services as well as finance related to all these transactions must not be provided.